Along with Yamunotri, the 3 Char Dham destinations of Gangotri, Kedarnath and Badrinath receive heavy footfall of pilgrims every year. Teen Dham Yatra by road, crafted by India Pilgrim Tours offers you a chance to pay homage to these sacred destinations. The 10 days teen dham yatra itinerary has been planned in a meticulous manner so that you can not only pay your reverence to the Lord but can indulge in sightseeing too. The evening Ganga Arti of holy Ganges in Haridwar and the Abhishekam ceremony at Kedarnath will leave you completely in awe because of their magnificence. 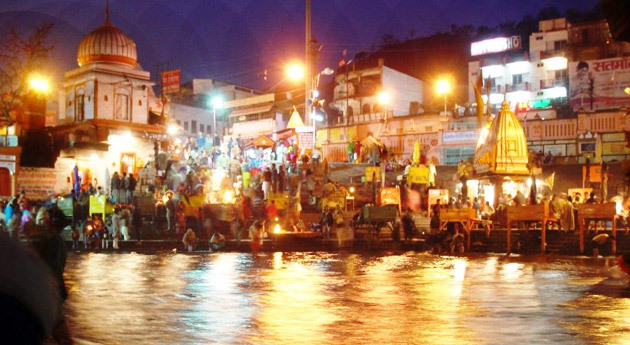 On arriving in Delhi, meet an IPT representative who helps you in on-road transfer to Haridwar. On reaching, complete the check-in formalities at the hotel. The evening is scheduled for the enthralling Ganga Aarti at Har-ki-Paudi, on the banks of River Ganga. This is a sight that you will remember for lifetime. Dinner and overnight stay. Post breakfast on the second day of Teen Dham Yatra tour, check-out from the hotel. Thereafter, begin driving to Uttarkashi, placed on the banks of Bhagirathi River. 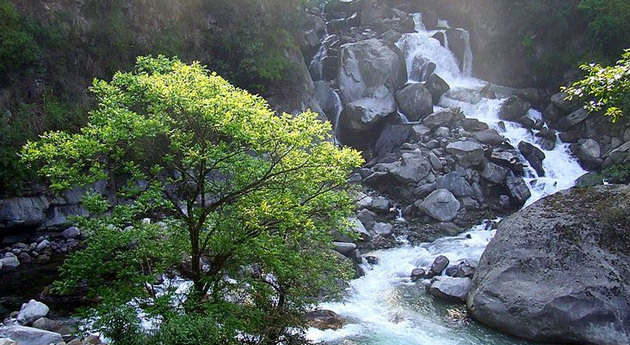 Lying 1352 m above the sea level, Uttarkashi is known for housing a number of ashrams, temples and historical monuments. The evening is scheduled for a visit to the Vishwanath Temple, dedicated to Lord Shiva. Later, have dinner. Overnight in Uttarkashi. Have an early morning breakfast and hit the road to begin Gangotri yatra. Located at a height of 3100 m above the sea level, Gangotri lies in on Greater Himalayan Ranges, on the banks of River Bhagirathi. Gangotri dham, one of the Uttarakhand Chardham Yatra Destinations, is the seat of River Goddess Ganga. As you reach, visit the holy Gangotri temple, constructed during the 18th century. Made in white granite, the temple is also close to the spot where King Bhagirathi had worshipped Lord Shiva and Ganga had touched the earth. Take a dip in the holy waters and perform Pooja. Back to Uttarkashi in the evening for dinner and overnight stay. On day 4 of Teen Dham Yatra have a quick bite followed by check-out formalities. Later, get on-road transfer to Guptkashi, placed on the western bank of River Mandakini, on an elevation of 1319 m above the sea level. On arriving, check-in at the Government hotels/camps. The rest of the day is free. Enjoy the amazing weather and the lush scenery. Dinner and overnight stay. Day 5 starts early when after breakfast, you complete the check-out formalities and begin driving for Sonprayag. This is the destination from where you start the 20 km trek to one of your chardham destinations- Kedarnath. To complete this trek, you can hop onto a horse’s back or can book a palanquin (at your own cost). The chants of Lord’s name reverberate in the surroundings. Make your way carefully through the rugged terrain. On reaching, check into the Govt. Camps/Lodges. Dinner and Overnight stay. Get up before dawn and take a bath. Reach the Kedarnath temple before 04:45 am to be a part of the grand Abhishekam ceremony of Lord Shiva. For the ceremony, pilgrims enter the Garbha Griha, seeking the blessing of the Lord. Later on, back to the Camps / Lodges. Thereafter, start your return trek from Kedarnath to Sonprayag. Your vehicles would be waiting at the Sonprayag Car Parking to take you to the hotel. After check-in, dinner and overnight stay in Guptkashi. Breakfast followed by check-out formalities. Later, begin driving to Badrinath, the last Char Dham Yatra Destination, via Joshimath. The route is filled with scenic beauty in abundance. After arrival, check-in at the hotel. Have some rest and refreshments. Thereafter in the evening, visit the Badrinath Temple, dedicated to Lord Vishnu. Also known as Badrinarayan temple, it is also one of the 108 Divya Desams of Lord Vishnu. 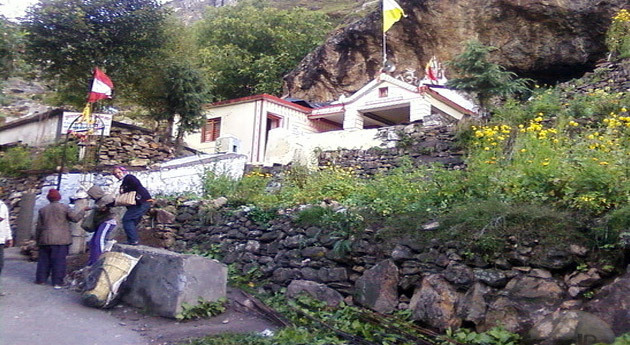 Before visiting the temple, visit Tapt Kund/Hot Spring for taking a bath. The temple is constructed in a cone structure that has a tiny cupola of gilt bull and a spire. Back to the hotel for dinner and overnight stay. On day 8 of Teen Dharm yatra at Badrinath Dham, visit the temple again. Return to the hotel for breakfast, followed by sightseeing. Explore Vyas Gufa- an ancient cave where sage Vyas stayed during the writing of the 4 Vedas, Mana Village- the last village on India-Tibet border, inhabited by Indo-Mangolian tribe, Mata Murti temple-on the banks of Alaknanda River and lastly, Ganesh Gufa, that cave where Lord Ganesha wrote the great Hindu epic, Mahabharata. After visiting the attractions in Badrinath, continue the journey towards the holy town of Rudraprayag. On the way, halt at the confluence of Rivers Alaknanda and Pindar, Kranaprayag, one of the Panch Prayags of Alaknanda. On reaching, check-in at a hotel for dinner and overnight stay. After an early morning breakfast, begin driving towards the spiritual city of Rishikesh, famed as the 'Yoga Capital of the World'. Home to spiritual Yoga centers and several ashrams, Rishikesh is flocked by devotees and spiritual seeks in huge numbers in huge numbers. 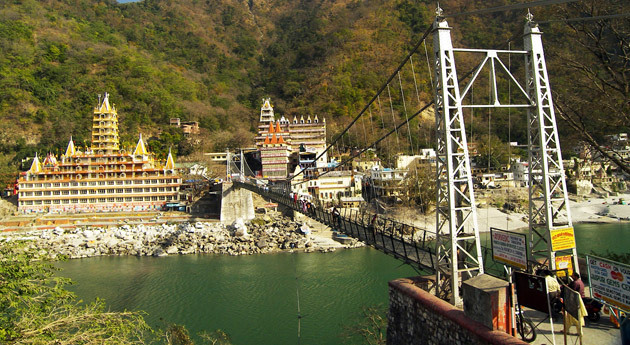 As you reach, visit the two very popular suspension bridges, Ram Jhula and Laxman Jhula, the two popular attractions in Rishikesh. Thereafter, continue to Haridwar. After arriving, check-into the hotel for dinner and overnight stay. On the last day of Teen Dham Yatra tour, have your breakfast and begin driving back to Delhi. On arrival, get an assisted transfer to Delhi Airport/Railway Station for your onward journey.